Dr. Laura R Johnson is an Associate Professor of Psychology at the University of Mississippi where she teaches multicultural psychology, statistics, and psychotherapy theory and practice. She conducts workshops on intercultural communication and cross-cultural adjustment for the Croft Institute of International Studies and the Lott Leadership Institute, as well as trainings in cultural competence for mental health and health professionals. Dr. Johnson is a member of the Dr. Don Cole’s Diversity Leadership Group, a co-founder of the “Cultural Connections Project” for international students, and serves on the Fulbright selection committee at the University of Mississippi. Dr. Johnson serves on the American Psychological Association’s (APA) Committee on International Relations in Psychology and is an International Division member and a liaison to Uganda, Tanzania and China. 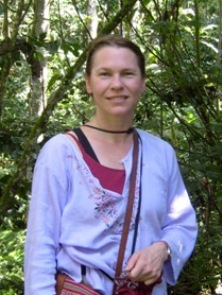 Dr. Johnson was an international exchange student in Kenya (88-89), and U.S. Peace Corps Volunteer in Papua New Guinea (93-95), a Fulbright scholar in Uganda (2001), and recipient of a National Geographic Conservation Trust grant to conduct research in Uganda (2007). Her research and clinical interests include international psychology, cross-cultural adjustment and social integration, refugee and ethnic minority mental health, conservation/environmental psychology and positive youth development across cultural contexts. Dr. Johnson collaborates with the Jane Goodall Institute to examine and improve the "Roots&Shoots" global, environmental and humanitarian program for youth. She has written several book chapters and articles on on the role of culture in mental health treatment and in youth development in East Africa and China. Prepares students to cope with cross-cultural issues before studying abroad. Designed to help students acquire the knowledge, skills, and attitudes that enable them to understand their study abroad experience and their readjustment to American culture in light of current intercultural theory and principles.